TRICYCLE COLLATERAL LOAN OR CR ONLY – GET 15K – 30K LOAN APPLY NOW! 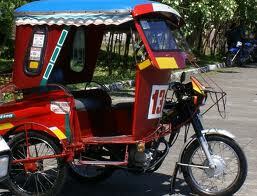 Got a tricycle and need quick cash? Apply for our no income required tricycle collateral loan now. We accept 2 stroke up to 10 years old and 4 stroke engine up to 15 years old and in good condition. Get cash even without having your trike taken so you can still work and use it for “pasada” and come up with your monthly payment amortization. Use this collateral loan in the Philippines as leverage for buying another unit or micro business financing source, personal or family needs. Borrower must have documented source of income or provide nearest relative with source of income as co-maker. Co-maker in this case must submit 2 valid IDs, documented source of income and proof of billing. GET CASH COMMISSION for PRIVATE CAR SELLER & DEALER TIE UP – CALL US NOW!